Assassin’s Creed is a franchise that is synonymous with exploration, super sleuthing and stabbing foes in the face. It started off simply enough in 2007, with a basic story about an arrogant man who had to be reprimanded for his negligence. Doing so allowed him to become the best version of himself. When the inevitable sequel came around, Assassin’s Creed’s narrative elements took a turn for the better. The simple story turned into an epic about the life-long journey of a man who wanted to avenge his family, and bring a silent brotherhood of assassins into the light as saviours of the world. The third major instalment introduced even more changes, to both gameplay and narrative. It allowed gamers to play within “grey areas”, where assassins may not always be the good guys. The entry that followed took the franchise another step forward, by introducing a non-assassin protagonist. Jump forward to the latest entry in the franchise, Assassin’s Creed Odyssey, and we are met with a title that is more role-playing game (RPG) than action adventure – and all the better for it. 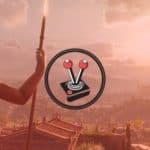 Assassin’s Creed Odyssey, the eleventh major instalment in the franchise, takes its legacy to heart while improving on the changes that were introduced in the excellent Assassin’s Creed Origins. 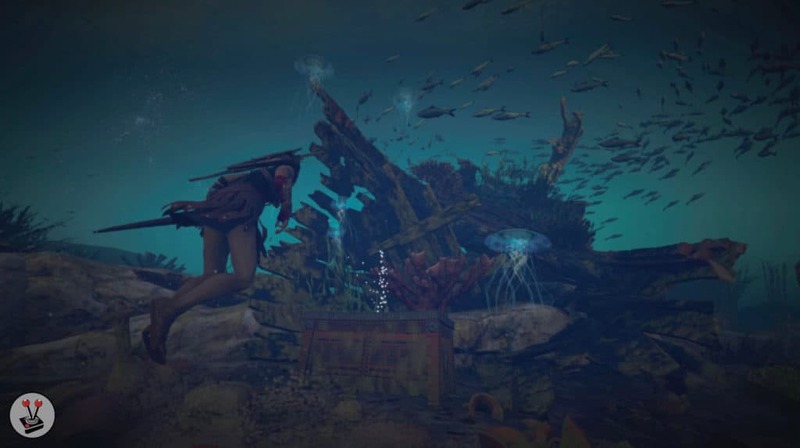 Although it shares many of the new gameplay mechanics introduced in Origins, there are enough changes and improvements in Odyssey that allow it to justifiably stand on its own as a unique new entry in the franchise. Assassin’s Creed Odyssey is therefore, in many ways, the most ambitious game that Ubisoft has released. It introduces even more role-playing game elements, such as branching dialogue and story paths, it has multiple romance options, a choice between two different protagonists, and even varying enemies depending on early game choices. Naturally, the question remains: are all of these wonderful new additions enough to warrant investing your time in this title? The moment you load into Assassin’s Creed Odyssey, you are injected into one of the most iconic battles in Greek history: the Battle of Thermopylae – the last Spartan defence against Xerxes and his army of Persians [think of it as like an interactive version of the iconic film, 300 (2006)]. Here, you play as King Leonidas and it is where the game teaches you how to effectively dodge and kill enemies. It is a short sequence that sets up the backstory to the game. 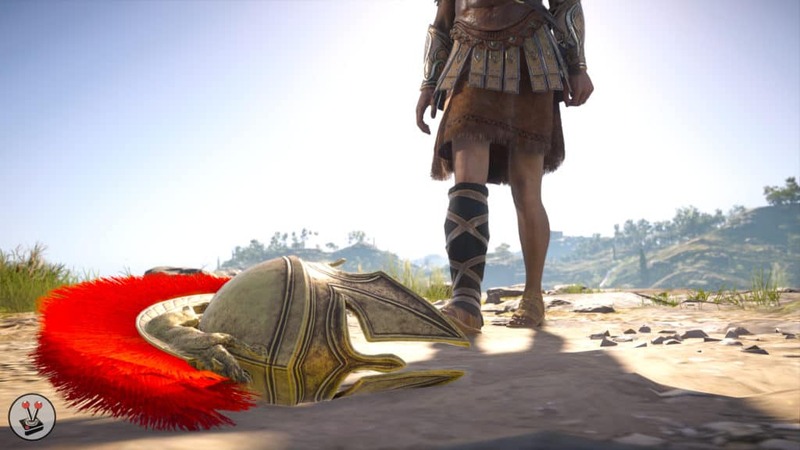 From this sequence, the game immediately shoots to the present-day storyline where Assassin’s Creed Origins character, Layla Hassan, digs up King Leonidas’ famous spear. Gamers quickly learn that the artefact is a dormant Isu (First Civilisation) relic. Layla then gets back into the animus where the meat of the story comes into play. 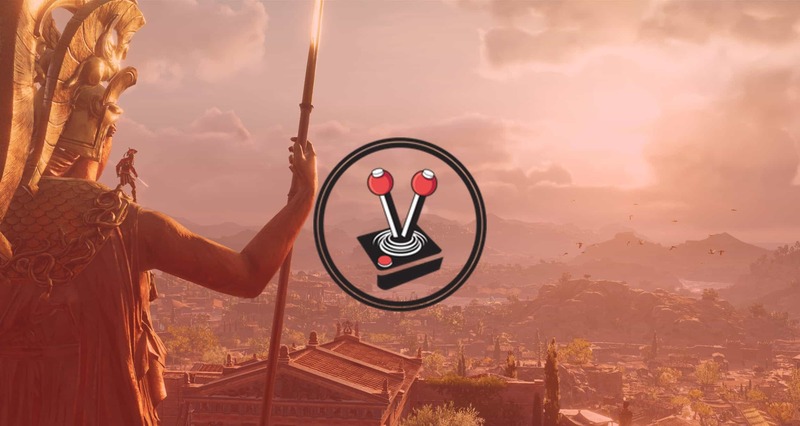 Once back into the game, players must choose to take control of either Kassandra or Alexios. This is the first of hundreds, if not thousands, of choices the player will make that will dramatically alter the story. With that said, there will also be many similarities. Regardless of your choice, you learn that your character is a descendant to King Leonidas himself, and that their life choices have led them to become a mercenary on the brink of the Peloponnesian War. It is in this opening sequence that we also learn of their backstory – how their family was torn apart due to unreasonable loyalty to traditional Spartan values. At first I chose Alexios, since I usually best immerse myself into a game when I play a male character. However, I soon went back and played the opening hours once more just to see who I would prefer. It goes without saying that I chose Kassandra for the long haul. As such, and going forward with this review, I will refer to the main character as Kassandra, and refer back to Alexios accordingly if the need rises. The story in Assassin’s Creed Odyssey is very simple at first. It opens up to a twenty-something-year-old Kassandra, who has just started her day. A day that quickly takes a turn for the worse when two thugs decide to pay her a visit. Immediately, you are met with your second choice in the game (your first as Kassandra): to spare, or kill the thugs who came looking for trouble. This is an effective way to teach the player about the consequences of their actions. From here on, players get to meet Phoibe, a young girl who, like Kassandra, is without parents; Markos, a man who tries his hand at every business opportunity he can get his hands on; and the Cyclops, the first of many more enemy mercenaries and leaders that the player will go up against. The first few hours of the game act as a tutorial. Players will run around an island and slowly get to grips with the gameplay and its many conventions. Once you have had enough, however, the story will introduce you to a man named Elpenor; and subsequently a man named Barnabas. Not all is as it seems however. This is where the age old Assassin’s Creed formula comes into play. Behind the scenes, secretive forces are manipulating events. They have known about Kassandra for some time. However, Kassandra does not care for these forces – or is completely oblivious to them. Rather, she accepts a contract to bring Elpenor the head of a famous Spartan general. Regardless of how little Kassandra cares for the bigger picture, accepting the contract unintentionally embroils her in a conspiracy that leads her down a very dark path. The first twist in the game comes early on, and lays a path that makes it incredibly obvious that Kassandra is just one side of a very big, very important, coin. Her journey takes her throughout many parts of Greece, where she uncovers the main narrative plot, fights mercenaries that want her dead, and helps both sides of the Peloponnesian War. One of the strongest aspects of Assassin’s Creed Odyssey comes by way of Kassandra’s backstory. The sacrifice her father had to make as a loyal Spartan, and how she and her mother dealt with the pain thereafter – it is quite engrossing. 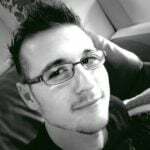 In a similar vein, Assassin’s Creed Origins had a very strong story of a father who lost his son. It also took players through the heartbreaking revelation that his life-long partner and love, Aya, had very different ways of moving ahead with their son’s death. Much in this way, Odyssey takes players on a journey about betrayal and vengeance. It revolves around the dynamics of a family, already broken by the time the story begins, and the choices people had to make well before those life-affecting decisions were made. A defining aspect of both the narrative and gameplay in Assassin’s Creed Odyssey is the notion that choices matter – and somehow, it perfectly shows us how choices that have been made long ago, will come back and haunt you forever. With that said, it is easy to forget that the main campaign is not the only story to be told. 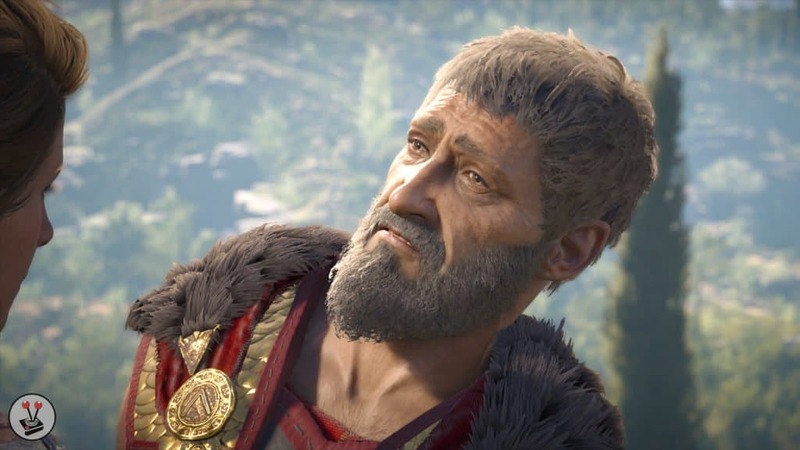 The world of Assassin’s Creed Odyssey is filled with a ludicrous amount of quests and subplots – many of which refer back to the main story or its characters. 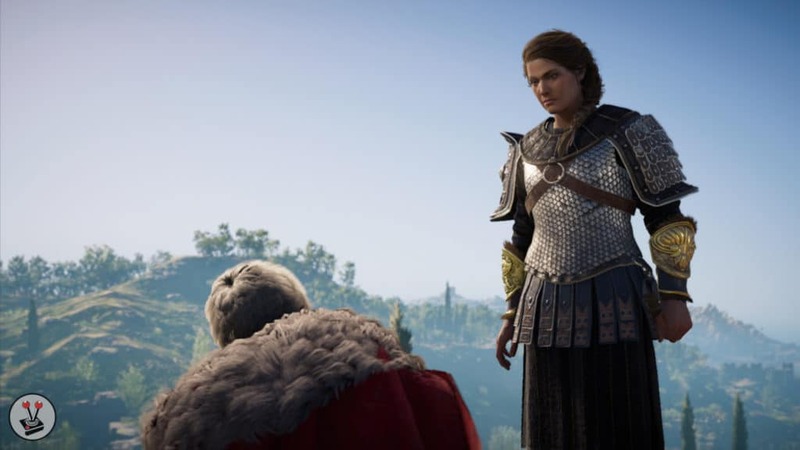 As such, they act as additional avenues that players can take to learn more about key characters, or to change how certain characters perceive Kassandra going forward. Interestingly, many side missions tend to disappear once finished – only to return later with additional branching narratives that continue from where you originally left off. Many of these are not exactly full-on campaign missions. Rather, they are smaller side missions that have the potential to eventually be considered ‘greater’ when you consider the quest giver’s disposition, or where the story will inevitably take you. If you have played any of the previous titles in the franchise, you will undoubtedly know about the First Civilisation (the Isu), their ties to Adam and Eve, and how they assumed the avatars of Greek Gods and Goddesses. Well, another brilliant aspect of Assassin’s Creed Odyssey is its inclusion of the Isu, and their story. In Assassin’s Creed Origins, the Isu were largely absent, save for a few references here and there and some narrative ties to the First Civilisation artefacts featured in-game. In Assassin’s Creed Odyssey, the opposite rings true. The first ten hours or so spent in-game, will make almost zero mention of the first civilisation. As you progress, however, both you as a player and Layla Hassan in-game, will notice how much of the driving force behind the various factions in Ancient Greece appear to revolve directly around the Isu and the “magical” artefacts they left behind. Not only that, but the more Kassandra unearths the mystery behind her family’s unraveling, and the legend of the broken spear that King Leonidas passed down to them; the deeper and more engrossing the story becomes surrounding the nature of the Isu. Of course, it also helps that Ancient Greece and “mythology” are practically synonymous with one-another. So much so, in fact, that ancient mythological beings actually exist in this game. These ties with mythology help to enhance the feeling that the Isu may very well still be present in 431 BCE, let alone be the inspiration for everything that is going on. Whether that really is the case, however, remains to be seen… because I am not spoiling anything – and no, the previously mentioned Cyclops from the start is not a real cyclops. The story in Assassin’s Creed Odyssey is nothing without the superb animation and cutscenes that takes place in the game. In his review of Assassin’s Creed Origins, Hans mentions how Bayek’s eyes light up when he sees his love, and how characters touch one-another in crucial, emotional moments. This is done just as well in Odyssey, if not better. The way it is done, however, differs vastly to Origins. There is no denying that Assassin’s Creed Odyssey is a beautiful game. This much is evident throughout all aspects of it. However, when you look for nuance in character faces and slight motor movements in character arms, legs, and even the entirety of their bodies, it seems… strange at first. It took me a while to realise this and get used to it, but the same nuance is there. It is just presented in a different way. Assassin’s Creed Origins was a game where each character had very specific movements during interactions, Odyssey is different in that it actively has to stop and wait for input before it carries on with its various steps during scenes that involve dialogue. This results in a weird motion where, instead of flowing normally through the river that is a conversation, it instead hops from one stepping stone to another as it finds its way across the riverbed. By using this “stepping stone” logic, it is easy to see why a player would feel that conversations are stiff, and that character animations have been dumbed down – when in fact it is quite the opposite. In Odyssey, the animators had to account for multiple dialogue branches, and still make it look natural. 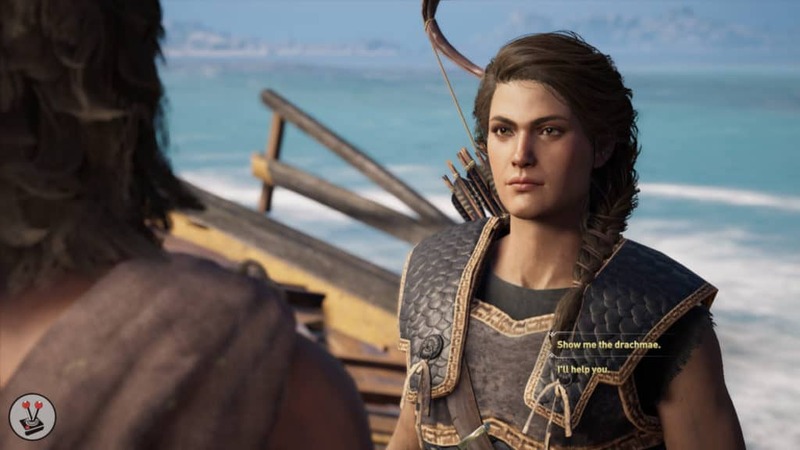 Kassandra, for instance, will stand upright with her arms crossed, as she breathes calmly, and shoots her eyes across the room at various focus points while both she, and the character she is speaking to, wait for the player to make a choice. This part of the animation is done incredibly well. Coming from games such as The Elder Scrolls III: Morrowind, and even newer titles such as The Witcher III: Wild Hunt, this looks superb. It is a vastly different way of animating compared to the almost real flow that Origins managed to emulate, and I am of the opinion that the game is better for it. With that said, cutscenes are still as beautiful and nuanced as Origins has conditioned us to expect. 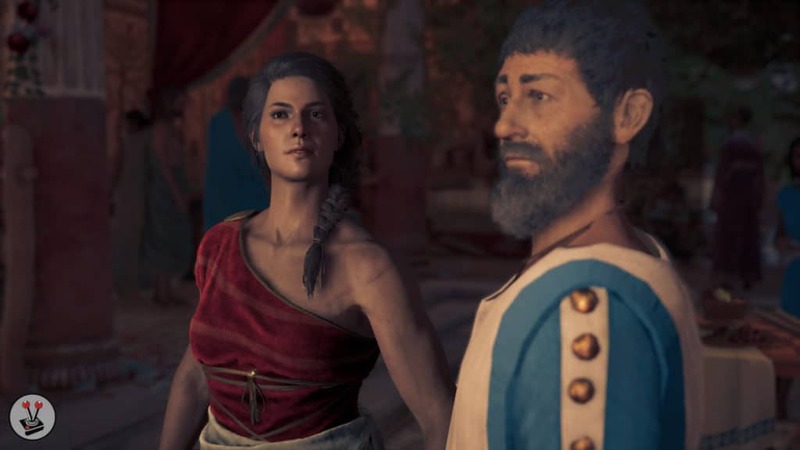 Most pre-rendered cut scenes in the game involve a much younger version of Kassandra and the characters in her life. While it can be a bit jarring to jump back into gameplay from these, it is very easy to see how much detail Ubisoft put into them. There is a certain level of cinematic detail that lets the pre-rendered cutscenes look photorealistic, and it is phenomenal. It does take a tiny bit away from the immersion when the pre-rendered cutscenes drop away and into actual in-game cutscenes. However, active renders and real-time cutscenes are just as well done. There is a scene, in particular, where Kassandra has to wear a long red dress and mingle among party guests. The cutscene that follows is entirely in-engine, and so well done that it might as well have been pre-rendered. It is an enjoyable experience that does not take away from the experience in the slightest. 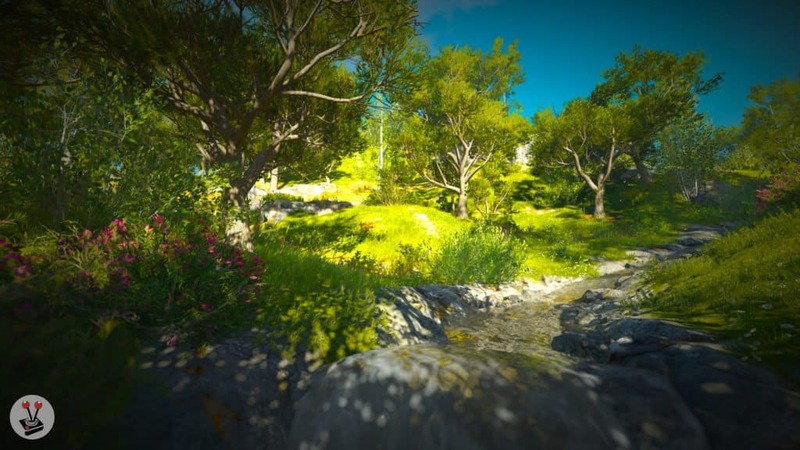 In-engine beauty is not limited to closed room and small population counts either. 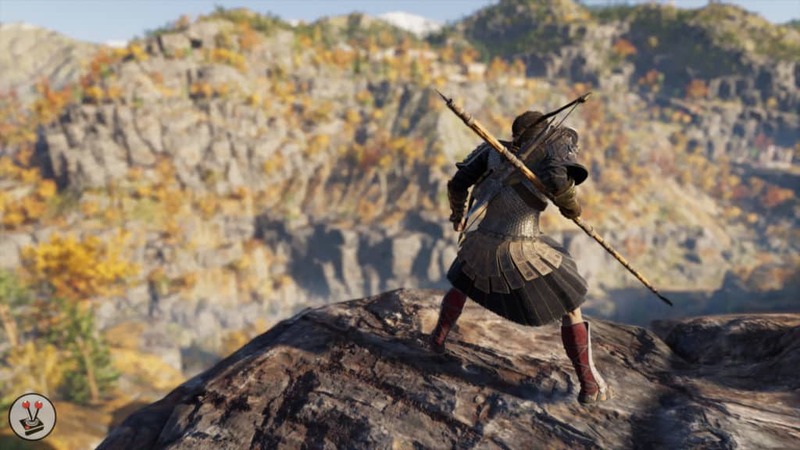 The world of Assassin’s Creed Odyssey is that of ancient Greece – 431 BCE to be exact. This means that the game takes place a few hundred years after the fall of Homer’s Troy, and around one hundred years before Alexander the Great invaded Egypt. 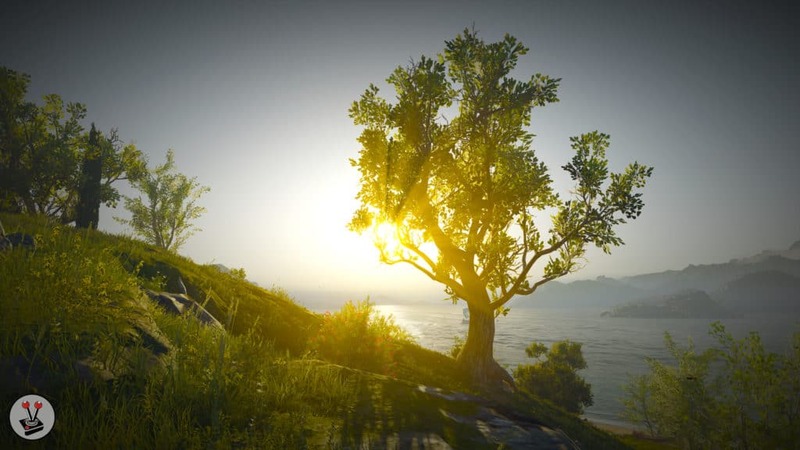 The full extent of Ancient Greece’s beauty is captured perfectly in Odyssey! 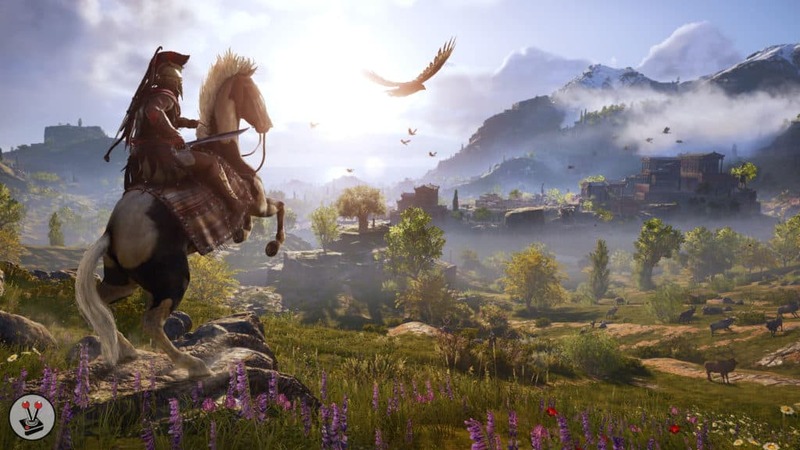 It is done in such a way that it shows how dedicated Ubisoft was at replicating the land and its features as much as is possible. In fact, Ubisoft’s on-location teams have done such a great job of replicate Ancient Greece, that I often found myself gasping in awe at some of the sights in-game. Athens may be the single-most important location to replicate, and it has been done so well that you can hardly tell real-life apart from the fictional history of the game; save only for the fact that it still stands in all its glory within the game! The world of Assassin’s Creed Odyssey is, without a doubt, one of the most beautiful open world titles I have ever played. As a lover of all things Ancient Greek, I found immense pleasure in climbing the statue of Athena, and walking along the Odeon of Herodes Atticus (the stone amphitheatre); and even sailing along the coast of Athenai (Athens), with Keos (Kea) to the East and Andros beyond that. The day and night cycle featured in the game also enhanced this exponentially – I could not stop fawning over just how fantastic the lighting is in this game. I spent multiple moments just drifting at sea; admiring and watching the various locations around me change from day to night and back to day – and I am not sorry that I did that (10/10, would do again). With that said, the game also includes a full weather system where clear days will become overcast and rain will start to fall. I have also witnessed thunder in the distance when traveling by sea. However, I have not witnessed stronger weather than the aforementioned. 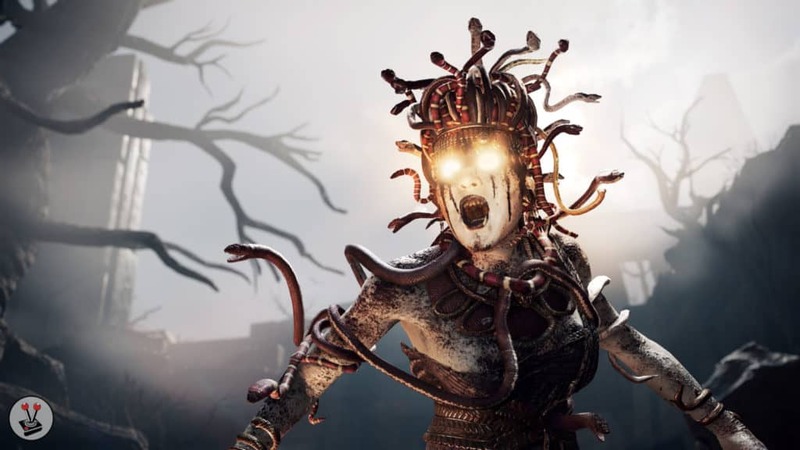 In Origins, you would sometimes be subjected to sandstorms and heavy winds. I did not directly experience any of those conditions in my time with the game. Weather aside, Assassin’s Creed Odyssey seems to do lighting wonderfully too. When the skies are clear, god rays will almost always find their way around items and objects, and shadows are excellently positioned. Underwater rays are just as magnificent as you might expect, while shadows are enhanced tenfold. Perhaps the only problem I have had with shadows are when they are cast out onto the surface of the sea from above. Shadows here should not be as solid as they are. Regardless of that, however, they are drawn incredibly well. Greece is riddled with mountains and islands. I am happy to report that these are modelled and textured wonderfully. There is a certain photorealism to mountain ranges and rock and boulder textures, which only becomes more beautiful as you climb them. Sometimes you will find boulders and rocks covered in moss, or growing vines that have browned with the seasons. Similarly, buildings feature a peculiar sense of familiarity. They are all modelled after era-specific structures that are true to their locale. Even the statues strewn about the lands of Greece are as they should be: some painted and chalked while others are adorned with gold plating and silver dust. On that note, there is something special about riding your steed up the steppes that lead to the Acropolis, to finally see the temple of Athena in all its glory! To see Athena’s statue stand as tall as Zeus’ Lightning statue – the one from the start of the game. To climb atop it and to synchronise the area with your eagle, Ikaros. It is simply spectacular. On that note, I will be remiss not to mention the excellent audio. It perfectly compliments the setting of Assassin’s Creed Odyssey, and enhances the experience to such an extent that it feels strange when the music is not playing. The theme song, The Eagle Bearer, is a beautiful thematic piece composed by music duo, The Flight. The rest of the score also wonderfully encompasses the kind of music you would expect from a 431 BCE narrative, while simultaneously drawing inspiration from Homer’s Odyssey and its many adaptations, Troy and its adaptations, and even films such as Hercules. At the end of the day, it makes you feel like you are on an ‘odyssey’ of your own, right along with Kassandra and Alexios. Of course, what is an odyssey if not for the trials and tribulations it puts you through? What is an odyssey if not for the reward at the end, and the struggle to get there? To answer that: the gameplay is challenging, but in the best way possible, and the actual gameplay experience is a reward in its own right. Assassin’s Creed Odyssey allows you to embody the character that is Kassandra (or Alexios). I mentioned before that I often prefer to play as a male character – just for the sake of immersion. Well, colour me impressed when I found that I could just as easily immerse myself into the game as Kassandra – who is really just a fantastic character. It felt good climbing cliff faces and buildings, squeezing through tight nooks and sliding underneath tents and cracks in walls. The aforementioned visual fidelity, combined with smooth animation, is second to none. The control scheme in this game follows that of Origins. It is a much simpler and far more refined version of the controller scheme present in previous Assassin’s Creed titles. Parkour is a part of the movement now. You initiate it by pressing A when near a ledge, and Kassandra will do the rest – so long as you keep moving. Getting down is also as simple as tapping or holding B, while silent kills are mapped to Y, and knockouts to the Left Stick. On that note: there is almost always good reason to be somewhere. Whether it includes an enemy encampment, a leader house, or even a random cave you just happened upon. Chances are that you will find loot and drachma (money) if you look well enough. That said, the world also feels believable in that you will not always find great loot – more often, just enough to get by and feel satisfied for having gone off the path most traveled. Collecting drachma is your most important goal in Assassin’s Creed: Odyssey. WIth drachma, Kassandra can buy new gear. With drachma, Kassandra can upgrade her gear and engrave them with special markings. Drachma is life. Strange how it adequately reflects today’s society… minus the parts about weapons and killing. Combat in Assassin’s Creed Odyssey is similar to Origins, with one difference: the shield is no more. This means that combat is a faster and much more nimble experience than before. Instead of blocking with the Left Bumper, players instead have to time their Dodges (X), and take care to either extend their dodge or not, in order to strike back efficiently. Light attacks are performed with the Right Bumper, while Heavy attacks are executed with the Right Trigger. Ubisoft further enhanced the combat with an entirely new aspect: powers and abilities. As you progress, you will undoubtedly level up and unlock new ability points. These can be spent on powers and abilities in the relevant sub-menu. Here, the player will see that there are three paths: Hunter, Warrior, and Assassin. Many of the unlockable abilities here are passive and remain active whether you are in combat or not. Every now and then, however, you will unlock a power that you must assign to your power wheels. These can be initiated by holding Left Bumper or Left Trigger, depending on the situation. Melee powers will always map to Left Bumper, and the face buttons (A, B, X, Y), while the same applies for ranged powers. 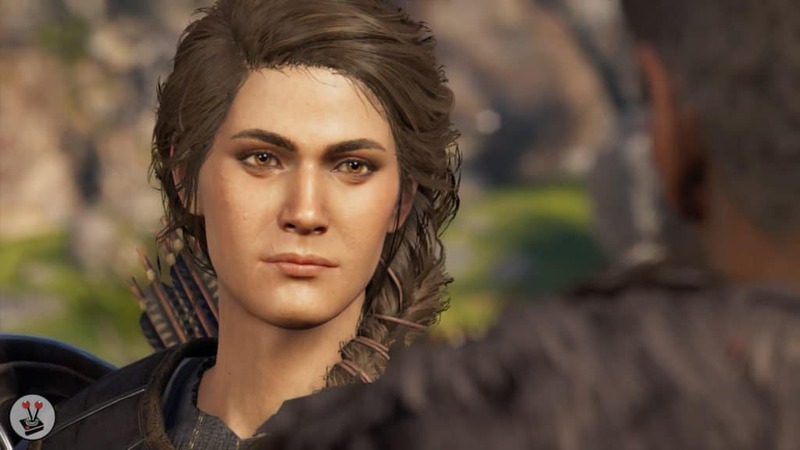 This character progression first showed its face with Assassin’s Creed: Origins, and it is more refined and much more robust now in Assassin’s Creed Odyssey. Another aspect of combat, and the character progression system, is that of weapons and gear. At any time, Kassandra will be able to wield either a bow or a melee weapon; and when the time comes, two of each. Melee weapons are categorised into different classes. You get swords, spears, heavy weapons such as axes and polearms, and even blunt weapons such as staves. Whichever you choose is entirely up to you and your playstyle. I grew fond of the spears in this game, and found myself using them much more than any other – an ironic happenstance given how the Spear of Leonidas is a main narrative point in the game. 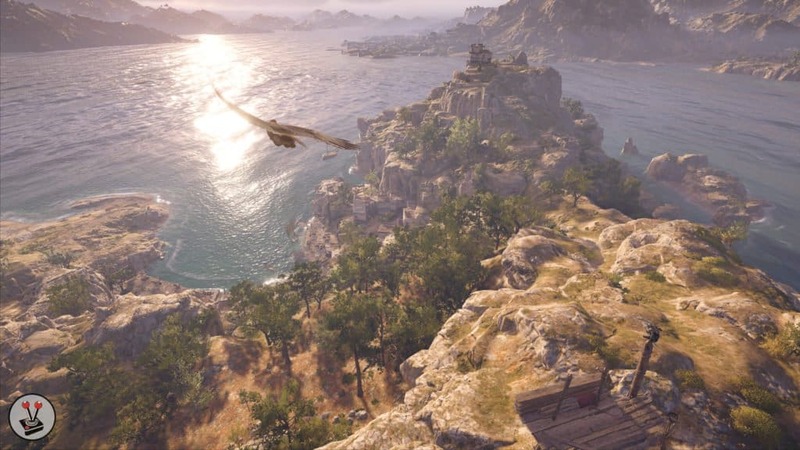 Another facet of progression in Assassin’s Creed Odyssey is that of Kassandra’s eagle, Ikaros. Just like in Origins, eagle vision is no more. Instead, you have to rely on your eagle to identity, target, and check the surroundings. Ikaros’ vision and perception becomes better with every synchronisation the player does, making it easier to spot and target things from further away. Some abilities in the ability menu also affect Ikaros. While I never found myself using Ikaros more than I needed to, I know this is an aspect of the game that Hans will enjoy immenesly. Flying around and seeing things from “an eagle’s perspective” was one of his favourite things from his time with the previous game. Beyond character progression, the game also offers a few key systems that are new to the franchise completely, or vastly improved. One of these comes by way of the Mercenary system, which appears to be quite similar to the ‘Nemesis System’ introduced in Warner Bros.’ Middle-earth: Shadow of Mordor. In Origins, elite warriors named Phylakes would hunt Bayek down whenever his bounty would reach a certain level, or whenever certain targets have been killed. This is true in Assassin’s Creed Odyssey as well, except it has now been expanded upon. Kassandra, being a mercenary extraordinaire, means that she ranks along with all of the other well-known mercenaries in the game. As such, you will unlock an entirely new tab within the menu that revolves around every mercenary in the game. As you progress through the story in Assassin’s Creed Odyssey, you will come face to face with different mercenaries. As you spot them, they will automatically be added to your Mercenary list. From this list, you can view which tier they are on, and then go into detail on what their strengths and weaknesses may be, whether they have companion animals, and even read up a small story about them. The Mercenary menu also lists the reward you get when you defeat them in battle. 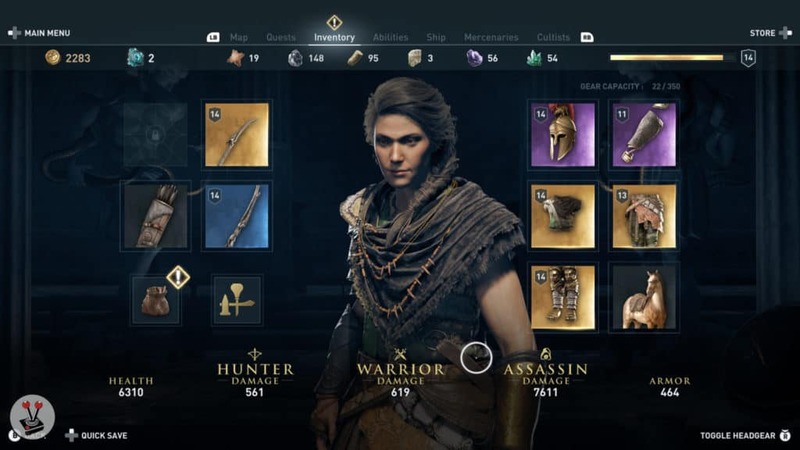 This is a nice upgrade to the same bounty system from the previous game, and is yet another feature that makes Assassin’s Creed Odyssey unique to the franchise. Another aspect that was only touched upon in Origins, is naval combat. Now, this is by no means as robust as the naval system featured in Assassin’s Creed IV: Black Flag, but it is worth spending a bit of time on. During the opening hours of the game, Kassandra will be tasked to acquire a ship. Not long after, a companion called Barnabas teaches you the ropes on how to command your crew to shoot arrows, throw javelins, and even douse the two in flames before letting them loose. The ship you command is called the Andrastia, and it has its own progression system that is tied to the level of your character. 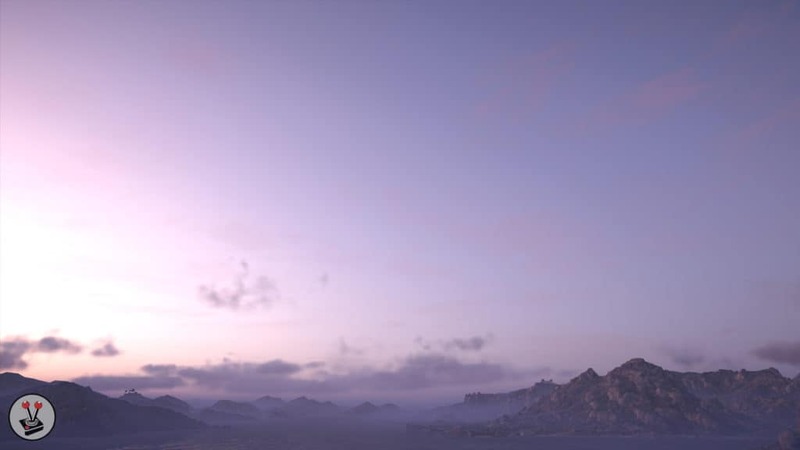 This means that whatever level Kassandra might be at, the Andrastia will be the same. In order to upgrade the ship, players will have to spend money and gathered resources. Upgrades include improving the hull, strengthening the crew, and increasing the damage dealt by arrows, javelins, and their respective flaming counterparts. In order to get those resources, players can sail the seas and take down pirate ships, boats, and frigates. 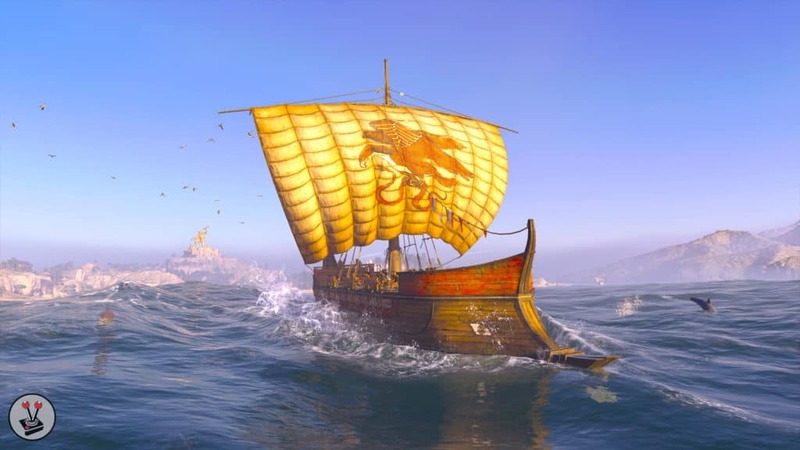 If you so choose, you can also take part in bigger scale battles that involve the main factions of the game: Athens and Sparta; as well as Merchant ships and pirate ships. For the most part, however, you will only use your ship to fare from one point of the map, to another. In all my time with the game, I spent a very little amount actually in the open seas, and more on getting by between smaller islands. To me, the naval system felt a little lacklustre. However, it never took away from the game’s overall experience. Another addition to the game is a new faction-based system. As alluded to Assassin’s Creed Odyssey, it takes place during the the Archimadian War – the first phase of the Peloponnesian War. As such, Athens and Sparta are each others necks. This much is evident both through the game, and through knowledge of the time period. As you progress, you will be forced to fight on one side of the war. As the campaign progresses, you will fight on the other side – like a true mercenary. This way, the player will learn about ransacking nation treasures, killing enemy soldiers, and burning down stockpiles. In doing so, the collective nation power will drop in strength. The controlling party leader will always be an available target, if you manage to find them while exploring. That said, they are difficult to take down, unless you drop the nation power. When it reaches the last bracket, the nation will enter a “vulnerable” state, which means that the current leader is an easy target. When you successfully take them out, the nation’s power will shift toward the opposing faction… and then it starts all over again. At the end of the day the faction war acts as “just another mission” to do. You “help” one faction and then directly after, you do it all over again for the other. I have been helping Sparta since I started, only to go back to old locations to see that all the leaders I took out, have just been replaced with new ones. Kassandra is a mercenary, not a soldier for a faction. She will fight for whatever faction she chooses at that time of day. Thus making this unique point of the game merely a new addition to the mission system than an actual improvement. Assassin’s Creed Odyssey also has a decent Photo Mode. This allows you to get Kassandra into position and then snap away from all kinds of angles. It also has a simple editing mode that allows you to change the focus and depth of field, add vignette to the photo, or even desaturate it. There are also filters, if you like to live that kind of life. I particularly loved taking photos from high atop mountains and statues. Kassandra has an epic aura to her when she stands, ready to battle the air in front of her. In terms of performance, the game performed admirably on the original Xbox One. With that said, I did have the opportunity to play a few hours at the Vamers Studio. There, I could see the game in all its glory on the Xbox One X – full on in 4K Ultra-high definition, with high-dynamic range enabled and 7.1 surround sound. The game looked utterly amazing played that way; but was just as good in 1080p when I played at home. It always kept a solid 30 frames per second, and only loaded when Ikaros flew to far away from Kassandra, or when fast traveling somewhere. I will be honest and say that I did not expect Assassin’s Creed Odyssey to be good. I tackled it under the impression that it was nothing more than an Origins 2.0 – but with less polish. I cannot, with more surprise in my typing, exclaim enough how wrong I was! Sure, there are certain elements that make them feel one and the same, but there are so many others that make Odyssey not only unique on its own, but unique to the franchise. 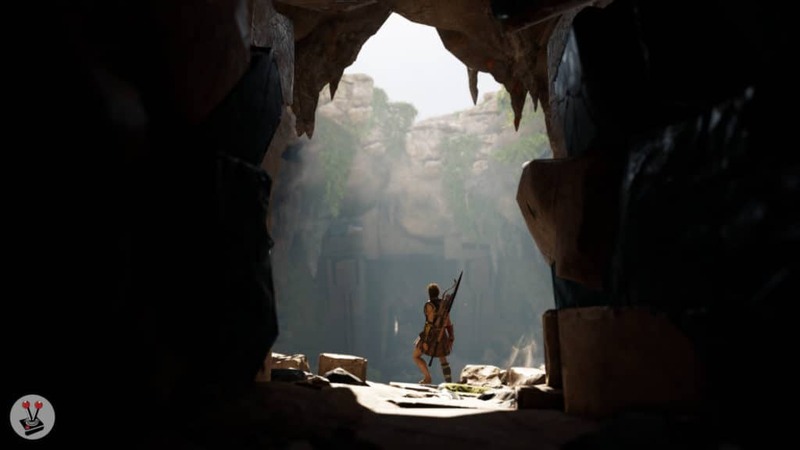 The game is a proper odyssey as well with a campaign that is said to be more than 50 hours in length alone, and that is not counting the side missions and activities Ubisoft have lined up for the player. Campaign aside, it is also so easy to just get lost in the world of Ancient Greece, and to simply explore the time away (something I did quite often). Assassin’s Creed Odyssey is a truly unforgettable game that rightfully feels like it is your epic journey and not necessarily that of Kassandra’s, or her friends and family. The story is captivating, and will carry on for a long while before it forces you to take a step back by way of a difficulty check. I found mine when the missions jumped from level 15 in requirement, to 17. The game will never bar you from doing them, but boy was it challenging. Assassin’s Creed Odyssey is a beautiful game that lives up to its legacy in more ways than just the name. It takes you on an epic journey across all of central Greece, and tells the story of an unlikely hero, one with an ancient and meaningful relic passed down from previous generations. It tells the tale of a family, and of a mercenary, who lost everything. It tells the tale of a country, and the people it holds in its bosom. Assassin’s Creed Odyssey is a modern-day classic, and I am so glad to make it a part of my own personal journey.